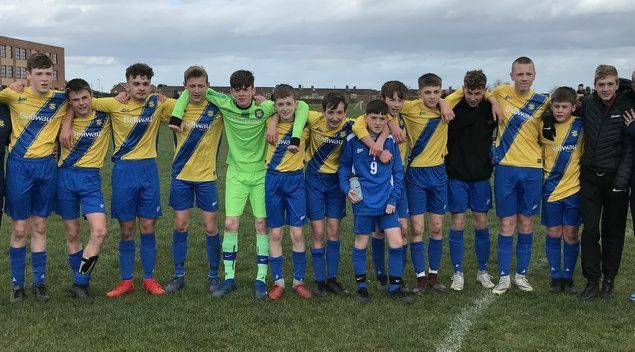 Stockton Town U14s travelled to Hartlepool Golden Flatts in the semi-final of the TJFA League Cup. In what was a very close game Stockton Town came out on top 2-1 with a late goal in the last 10 minutes. In difficult conditions it was a stalemate at half time but Stockton took the lead before being pegged back, with the match all square going into the final quarter. Stockton showed great character to regain the lead and held on for a great victory. Having already reach the County Cup Final this is turning out to be an excellent season, Well done to all the lads.